Many health professionals believe that following a specific diet for ADHD will help children suffering from this disorder. Attention deficit hyperactivity disorder, commonly known as ADHD, affects more then 10 percent of school age children in American. For many years there has been much controversy surrounding the cause of this disorder. Researchers and health professionals continue to search for a common link amongst the millions of children afflicted with ADHD. Every aspect of a child's life is affected by this disorder and the problems associated with ADHD often continue through adulthood. Children diagnosed with ADHD often have difficulty performing well in school due to their inability to focus on their tasks. They have trouble concentrating and paying attention both in school and at home. Other problems include impulsive behavior and hyperactivity often resulting in a sense of poor self-esteem, troubled relationships, a sense of loneliness and depression. Common treatment for ADHD involves a combination of medication and behavioral therapy. However, through the years there have been many successful cases where ADHD symptoms have been alleviated or completely disappeared when following a specialized diet for ADHD. Research today has found links that show an association between diet and ADHD in many cases. These links include sensitivities to nutritional deficiencies and food allergies to additives such as food preservatives and colorings. However, there is still not definitive proof of a cause and effect reaction between ADHD and diet. Yet thousands of children and adults show remarkable improvement and in certain cases total relief from the symptoms of ADHD by following a simple diet plan. A recommended diet plan for ADHD is offered on One ADD Place. The following is a summary of that plan. During the first two weeks of the ADHD eating plan it is important to eliminate certain foods and restrict others. Eliminate dairy products completely. Drink plenty of water and substitute Better Then Milk Drink, rice milk or almond milk for cow's milk. Eliminate all foods that are yellow such as squash or corn. Eliminates food coloring as much as possible. Reduce your intake of sugar by 90% and if possible eliminate it completely. Reduce your chocolate intake by 90% making sure not to have more than one piece each week. Reduce your intake of fried foods by 90%. After following the initial eating plan for the first two weeks, each food will be added back into your diet. Every other day eat one food that was eliminated or reduced. Make sure to eat a large amount of the added food during the next four days. If there is going to be a reaction to the added food it will happen within that time. Reactions can range from angry outbursts of temper to red splotchy skin. 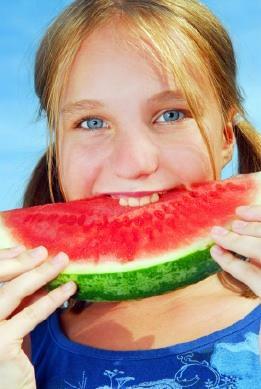 In addition to the ADHD diet plan One ADD Place also have lots of nutritional tips for those with ADHD. Today the Feingold Association has many members that follow the diet with successful results in eliminating the symptoms of ADHD. If you have a child that suffers from ADHD, or if you yourself are afflicted with this disorder, following the diet and nutritional tips for ADHD may improve your symptoms tremendously.